Christmas 2004 my mother asked me to bring her on the new LUAS (tram) service. We went on the "red line" to the "Square" in Tallaght and after some shopping we returned to Dublin city centre. On our way back a white van driver decided to cut across the tracks without any warning ... this photograph shows the results. 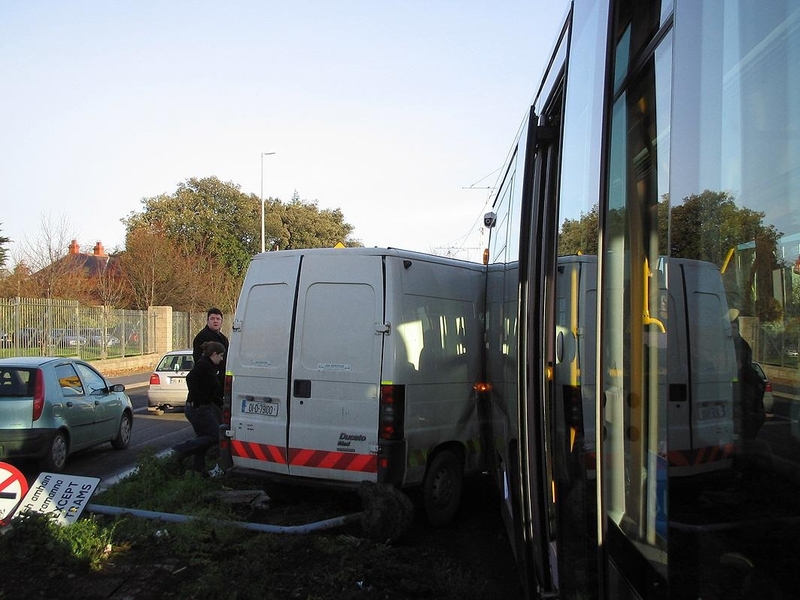 What was really funny was that within ten minutes of the accident an old woman living locally arrived with tea for everyone on the tram ... she must have a very well organised emergency plan in place.